This, ladies and gentleman, is how you write a spectacular debut novel. Clarke’s first book is a masterful mix of imagination, thrill, suspense, and a subtle, but underlying, romance. Although I do have my own qualms with this book – which I will get to in a little bit – I can’t deny that it kept me entertained, forcing me to devour it all in one sitting. I fell in love with the character interaction and rich world that Clarke had created and I am already eagerly anticipating the sequel of this fantastic story. In fact, my only complaint at having received this as an ARC is the fact that I have to wait longer than anyone else to get my hands on the sequel, but you can bet that I’ll be one of the first ones to do so. 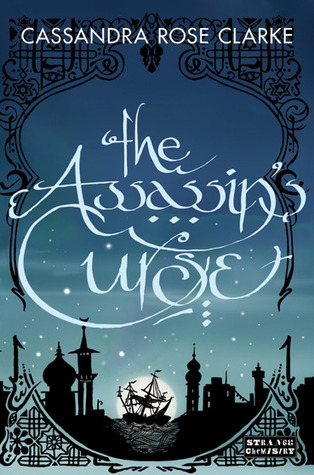 An exciting and original YA novel with magic, pirates, myth and adventure, The Assassin's Curse will hook you in and keep you tugging on the line for the next book in Clarke's series.